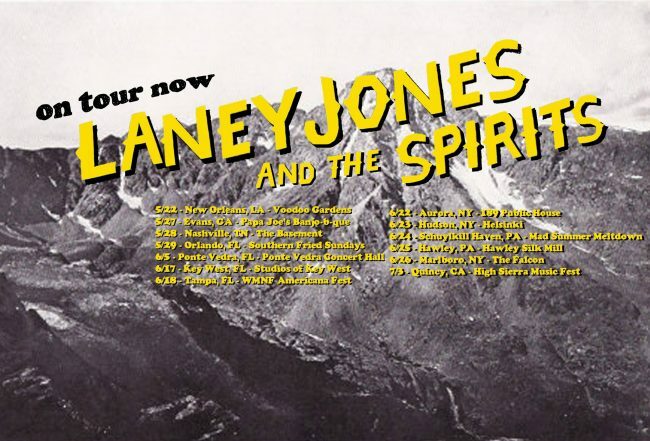 We have recently been smitten with the music of Florida-born, Berklee College of Music-educated Laney Jones (and The Spirits). We will shortly have a full review of their fantastic latest album (eponymously-titled; cover art above). But in the meantime check out their song Allston (Dance Around) and its official video below. The song is catchier than SARS. As you can imagine, the album has a broader and more varied pallet than this dance around (you can pick it up HERE). For now, however, bring on the weekend and dance around with Allston (Dance Around)! If there was any justice in this world, this song would be a massive hit. As seen above, Jones and The Spirits will be out on tour shortly and headed to California in July for the High Sierra Music Festival, and will hopefully add some other Cali dates. Don’t miss ’em. You can get tickets HERE.